But in person, having coffee in the Plateau, Louise Lecavalier exudes a sense of simplicity, lightness and calm that belies the incredible physical power within her. Lecavalier made her mark almost immediately at the beginning of her career, but it is her gravity-defying, seemingly body-punishing performances with choreographer Edouard Lock and La La La Human Steps between 1981-1999 that have made her a cultural icon. Lecavalier’s work has remained intensely physical and emotionally gut-wrenching. At 54, she pushes the boundaries of expression through movement by perpetually challenging her body—using maximum energy without forcing. She says she has developed an immense respect for the body and does not take on risk for its own sake. With her school’s permission, Lecavalier and a few girlfriends used a room as a studio in which they created dances and improvisations without their parents being aware. “It was a very nice way to start, not with technique but with the desire to make something with movement,” Lecavalier recalls. Though enrolled in formal ballet classes, Lecavalier realized that classical ballet was not the direction she would take and eventually switched to modern dance. With Lock, the choreography was created in silence or with “working” music, but not the music to which the dance would be performed. At one point in the process, the two were brought together. “I remember when the music came, it would be a magical day,” Lecavalier recalls, adding that she and Lock were of one mind when deciding which movements would go with which sound sequences. It is not a process of following the music, or dancing “to” it, Lecavalier explains. “I am not trying to be together, to react to every cue in the music.” For her, the body is her instrument, it is another voice. “The body is already an orchestra. The music adds more instruments,” she says. Sometimes, when she is caught up in the process of creation, there are moments when everything feels suspended, when refining a movement can become an exploration. 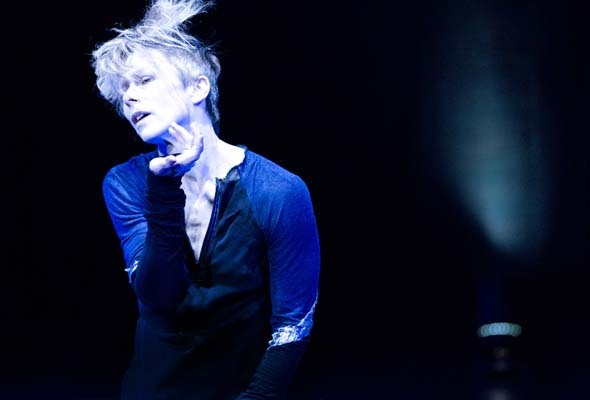 Louise Lecavalier will dance at the Festival des Arts St. Sauveur July 27-28 at 8 pm. It is a program she will share with some of the greatest dancers in the world, including members of the American Ballet Theatre, the National Ballet, the Royal Danish Ballet and the Ballet de l’Opéra de Paris. 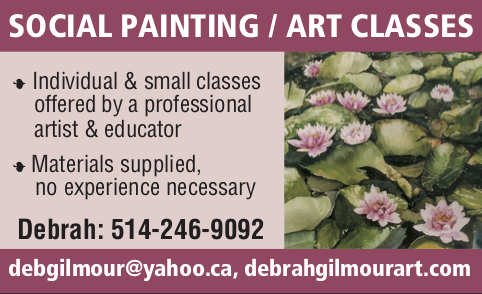 450-227-0427, fass.ca. Be the first to comment on "Louise Lecavalier’s perpetual dance of life"